Expandable articulating keyboard platform expands or contracts in width 23-1/4" to 30-1/2". Adjusts 7-1/2" in height. Detachable wrist rest with microfibre shell. 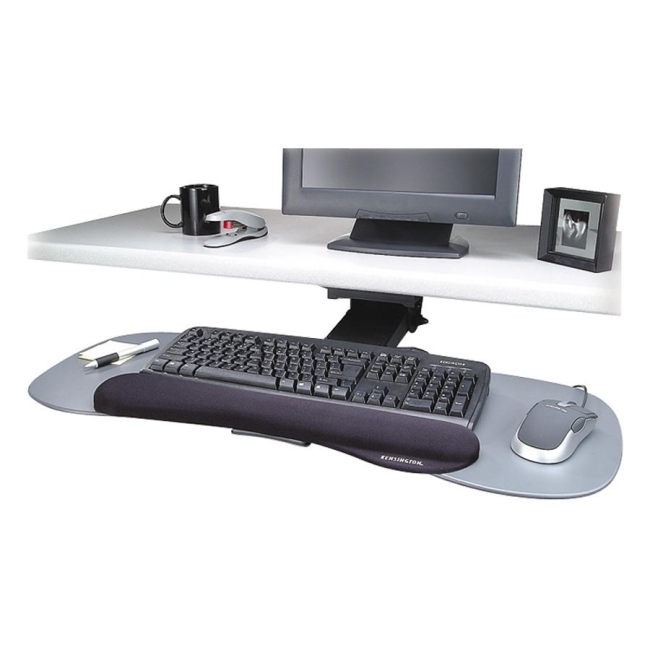 Keyboard platform has a tilt range of +15/-15 degrees, 360 degree swivel and unlimited positions within height range. Mousing surface can be used to the left or right of the keyboard. Keyboard tray will work in standard workstations and corner workstations.